Urban and Rural Energy Access: “Leapfrogging”? Mark Borchers from SEA writes on the recent context of SAMSET work in the wider space of urban and rural energy access in the developing world. The potential of energy delivery modes “without a formal supply chain and in the absence of any energy infrastructure backbone” that Frei speaks of is indeed exciting. This largely bypasses the cumbersome processes of central institutions with their inefficiencies and mixed agendas. Frei importantly reinforces the perception that the energy sector is changing rapidly, and that the old way of doing things – where centralized planning and large utilities are the key players – needs revisiting, as it is unlikely to be the way of the future. Yet most national governments and utilities in Sub-Saharan Africa seem to be moving into the future as if this is not the case, with the potential for stranded assets and business failure. Surely new approaches and business models need to be explored more urgently. Secondly, Frei emphasizes rural energy access in Africa. This rural focus is clearly important, and it suits national governments whose political support is generally rural-based (opposition movements tend to grow from urban areas). But this traditional focus on rural access can unduly overshadow the importance of urban energy access. Looking at access to electricity, although most unelectrified households are currently rural (around 550 million people are unelectrified), urban electrification rates are not high – often well below 50% – and currently around 150 million urban dwellers have no access to electricity. Between 2035 and 2040 Africa’s population is expected to become predominately urban. 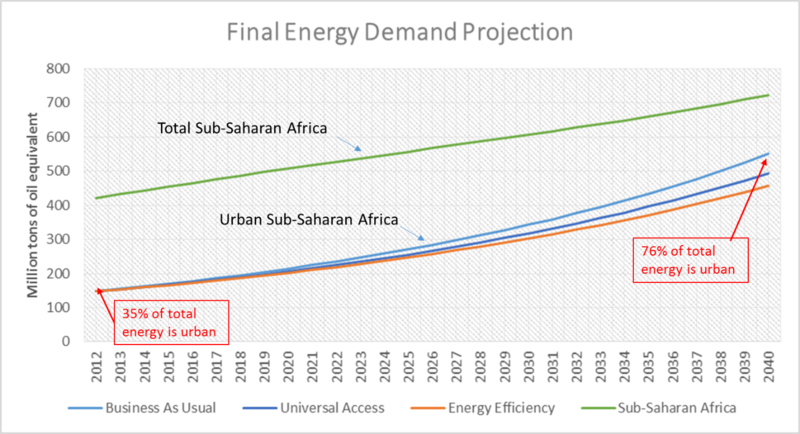 Modelling undertaken by Sustainable Energy Africa as part of the SAMSET project indicates that the future energy demand of Sub-Saharan Africa is likely to be substantially urban, with the urban share of total demand rising to over 75% by 2040 (see Figure). We should not overlook that there are huge opportunities to boost access to modern energy in urban areas. It is in urban areas that populations are closer to infrastructure, more dense, with higher average incomes and where delivery systems can be more cost-effective. It is in urban areas also where the very poor can be the most destitute, with reduced access even to traditional biomass energy. It seems justifiable to encourage a parallel focus on rural and urban access in a sector where ‘access’ currently seems almost entirely synonymous with ‘rural access’. Figure: Urban sub-Saharan energy demand over time showing Business-as-Usual, Universal Access and Energy Efficiency scenarios. Total sub-Saharan Africa energy demand (urban and rural) is also shown (Source: Modelling the Urban Energy Future of Sub-Saharan Africa, Sustainable Energy Africa, 2015). One more point worth considering regarding the urban-rural population dynamic: At a recent course SAMSET was running for municipal officials and urban energy practitioners, a lecturer asked “how many of you are first generation urban, or still consider your ‘home’ to be in a rural area?”. The majority raised their hand. There may be various implications of this characteristic: urban-rural remittances are likely to remain common into the medium-term, which could facilitate rural energy access with small decentralized technologies such as PV being funded from urban earners for their rural homes and families. On the other hand remittances may reduce investment in urban areas, which may impact to some extent on urban economies and possibly also the willingness to invest in urban energy infrastructure. Let’s keep an eye on how this dynamic plays itself out over the coming years. Calculation from IEA’s African Energy Outlook 2014 electrification database. This entry was posted in Sustainable Energy Africa and tagged African Municipalities, Christoph Frei, Decentralised Energy Solutions, Decentralized energy, Energy Access, Energy Demand, Energy Planning, Infrastructure, Leapfrog, Leapfrogging, Rural Energy Access, SAMSET, Sub-Saharan Africa, Urban Energy, Urban Energy Infrastructure, Urban Energy Solutions, Urban Planning, WEC on January 13, 2017 by danielkerrucl. Bernard Tembo from UCL writes on the benefits of bus rapid transit (BRT) systems and their integration into new urban planning ventures. In our last article, Africities, 2063, and Time, Simon Batchelor and Sumaya Mahomed looked at the disjoint in project timescales used by donors, CSOs etc. and the municipalities. They elaborated the complexity process and stages that projects have to go through for them to see light of day, stating that instead of the commonly used timescales of 1-3 years, most municipalities’ projects have a longer timescale of between 10 to 30 years. This article gives an observer perspective on how town planning approvals and the Bus Rapid Transit (BRT) systems in South African cities link. Major South African municipalities have embarked on projects that will not only improve the efficiency of the transport network but also reduce emissions from the transport system. Municipalities such as Durban, Polokwane, Johannesburg and Cape Town are implementing BRT projects. 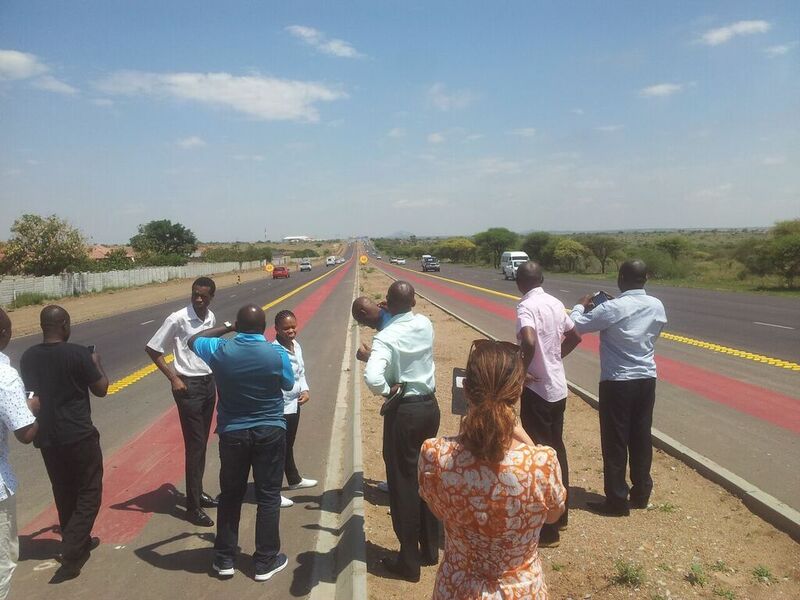 In Polokwane for instance, this project targets the areas that are densely populated. These area is currently serviced an inefficient public transport network and private transport. 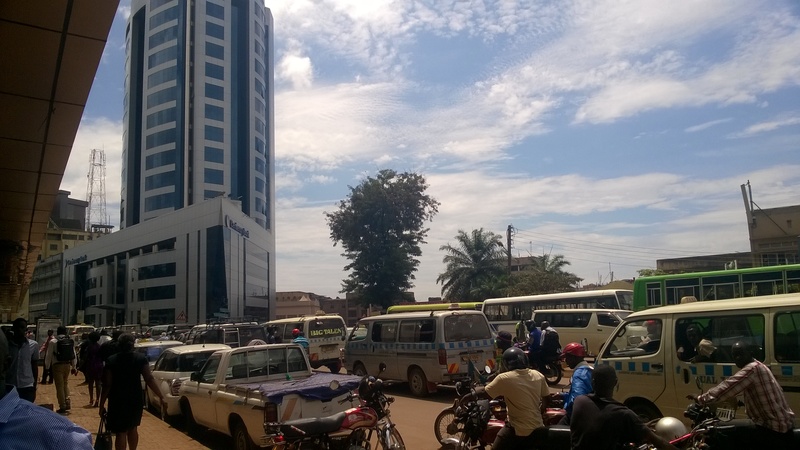 The City experiences loss of man-hours during peak time because of traffic jams. The City therefore, hopes that by providing a safe, reliable and efficient public transport network, the citizens’ social and economic livelihood could be improved. The City of Cape Town on the other hand has an already functioning BRT system, not covering the whole City though. One of the objectives of this system is to encourage modal shift: from private to public transport system. In one section of Cape Town called the Northern Suburbs, there a new shopping mall called Bayside Mall. This mall is serviced by a well-functioning BRT system. However, despite availability of this functional public transport system, the shopping mall has a huge private car parking space (lot). This raises questions about how well coordinated internal City development approvals and plans are: on one hand you want to encourage use of public transport yet on the other incentivising private transport system. It is an established fact that building infrastructure such as malls have a long life span (more than 40 years). And secondly and perhaps more importantly that because without putting in place stringent measures, private transport will continue to grow in the City. As private transport offers better safety and convenience for the user. Apart for convenience and safety, private transport is perspective as a symbol of esteemed status. With an increasing middle‑class, most transport users particularly those with enough disposal increase to shop in places like Bayside Mall will most likely desire to use private transport. It would therefore be important that the City authorities relook at requirements for new developments before they approve building plans. One such requirement would be size customer parking space in shopping malls. I am aware that they are a lot of power and political games at play with such developments (shopping malls that is) but there is always a first. This is an interesting challenge of synchronising long term plans with short term desires. A challenge that cannot be solved using a one size fits all approach, it requires consented efforts from all stakeholders. This entry was posted in UCL - Energy Institute and tagged Africities, BRT, Bus Rapid Transit, Cape Town, Efficiency, Mass Transit, Municipal Planning, Municipal Transport, Municipalities, Planning, Polokwane, Private Transport, Public Transport, SAMSET, South Africa, Traffic, Transport, Transport Energy, Transport Planning, UCL, Urban Planning, Urban Transport on December 22, 2015 by danielkerrucl. Originally posted on The Conversation, Louise Tait from the University of Cape Town Energy Research Centre writes on sustainable urban planning and energy, and the SAMSET Project’s role in supporting sustainable energy development in developing world cities. Africa is experiencing a massive flow of people into urban areas. This is happening in major urban centres such as Lagos, Accra and Dar es Salaam as well as in smaller and secondary cities. The pace at which this urban growth is happening inevitably puts strain on city authorities. The supply of services and developing infrastructure is vital for human and economic development. But the evidence base to support forward planning remains scarce for most cities. In its absence, cities run the risk of infrastructural lock-ins to systems that are unable to accommodate their growth sustainably. Cities with high concentrations of people and economic activities are major sites of energy demand. 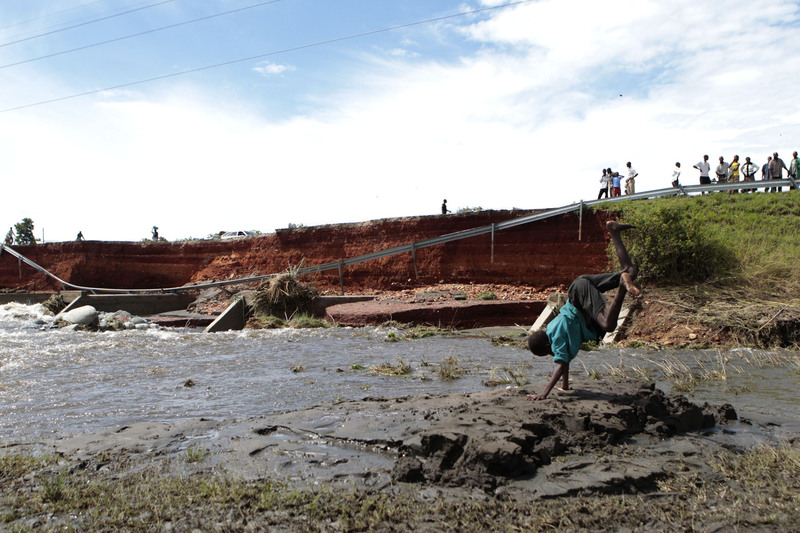 Africa contributes very little to global climate change today. But future growth must be managed sustainably. If the emissions of developing country cities increase similar to many western cities today, catastrophic climate change will be unavoidable. Supporting African Municipalities in Sustainable Energy Transitions, or SAMSET, is a four-year project that commenced in 2013. 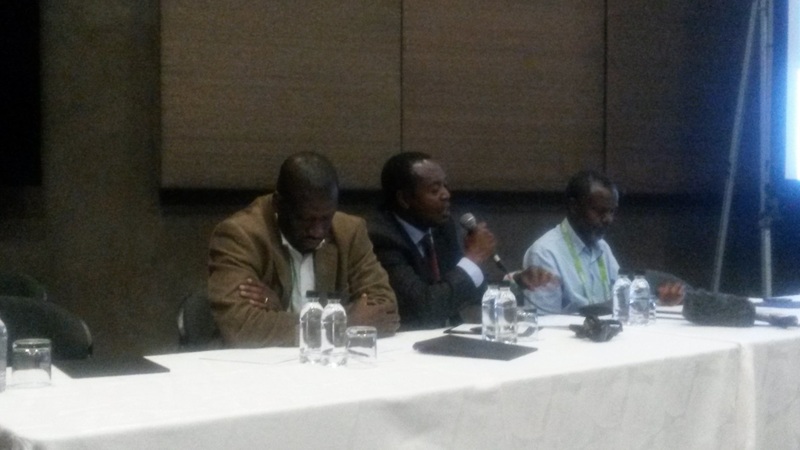 Its aim was to address sustainable energy transitions in African cities. It provides practical planning and implementation support to municipalities to manage future energy planning in a sustainable manner. 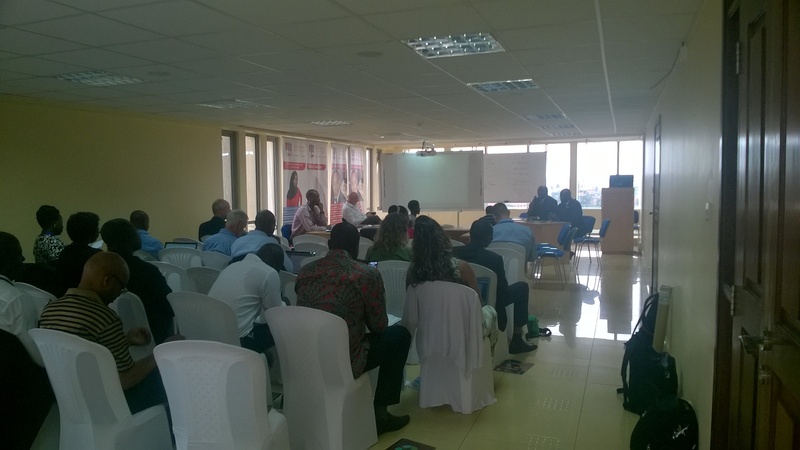 The project involves six cities in Ghana, Uganda and South Africa. The cities were Ga East and Awutu Senya East in Ghana, Kasese and Jinja in Uganda and Cape Town and Polokwane in South Africa. Research and support organisations in each country and the UK were involved as well. Secondary and smaller cities are the main focus for support. These cities are also experiencing massive social and economic expansions. But they typically have less capacity to cope. Despite their significance as current and future sites of energy demand, they receive much less research and funding focus. Secondary cities such as Uganda’s Kasese traditionally lack the research or funding to make sustainable energy transitions. The first phase of the project involved developing an evidence base to support planning and future implementation of sustainable energy interventions. Locally relevant planning tools are essential. There are very few studies investigating and modelling the energy systems of African cities. South Africa is a notable exception. An urban energy system refers to all the flows of different energy resources, such as petrol, diesel, electricity, wood and charcoal in a city. It records where resources are produced or imported into an area and where they are consumed in different sectors. Such information can help cities better understand which sectors are major consumers and identify inefficiencies. It also helps identify where opportunities for energy efficiency and new technologies may lie, especially those associated with improved economic and welfare effects. Much of how we understand urban energy systems is based on cities in western and developed countries. But many cities in Africa challenge assumptions about economic development trajectories and spatial arrangements that may be implicit in energy modelling approaches which are based on developed country experiences. SAMSET modelled the urban energy systems of each of these cities using the Long-range Energy Alternatives Planning model. It was developed by the Stockholm Environment Institute. This model records all energy consumption and production in each sector of an economy. For example the household, commercial, industrial and transport sectors are all recorded. It is a useful planning tool because it projects the growth of energy systems until 2030 under different scenarios. This helps cities understand the future impacts of different investment and planning decisions now. For SAMSET, universities in each country undertook primary data collection on sectoral energy demand and supply. A baseline model and range of scenarios were then collaboratively developed with local research partners and municipalities. Through stakeholder engagement, to take into account governance systems. Existing infrastructural constraints and opportunities. Aligning with other development imperatives. 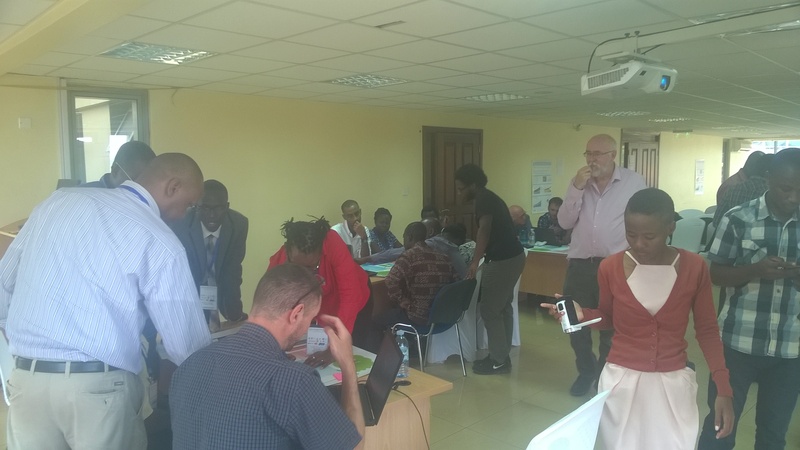 The project has served to introduce to city and local planners the use of energy models. It also attempted to set up the foundation for future development of energy modelling exercises and its applications. Collaborating to collect data, discuss key energy issues, and identify interventions are highly valuable to local stakeholders. The process was instrumental in generating an understanding of energy planning. 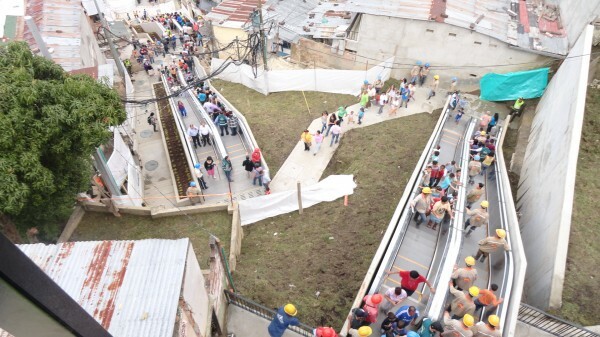 For some of municipalities, this was the first time consideration has been given to energy as a municipal function. The modelling process acts as a strategic entry point to build interest and support for the project with municipal stakeholders. It also provides a useful platform and tool to engage around long-term planning and the implications of different actions. An example is infrastructural lock-in to emissions and energy intensive growth paths. SAMSET is making an important knowledge contribution to the dynamics of sustainable energy transitions in African cities. Such research is of course made difficult by the data scarcity typical at a sub-national level. But this is merely reflective of the lack of financial investment to date. The local data collection processes in this project have been vital in building capacity and generating awareness around urban energy systems. Developing new data and building knowledge of urban energy transitions in the global south is critically important. It has had a strong focus on establishing a network of both north-south and south-south practitioners to support more work in this arena. Variations in urban forms and issues such as suppressed demand for energy services. This project has also made important methodological contributions to modelling urban energy systems in developing countries. This entry was posted in ERC - University of Cape Town and tagged Developing Countries, Energy, Energy Demand, Renewable energy, SAMSET, South Africa, Sub-Saharan Africa, Sustainability, Sustainable Cities, The Conversation, Urban Energy, Urban Energy Transitions, Urban Planning on December 8, 2015 by danielkerrucl.